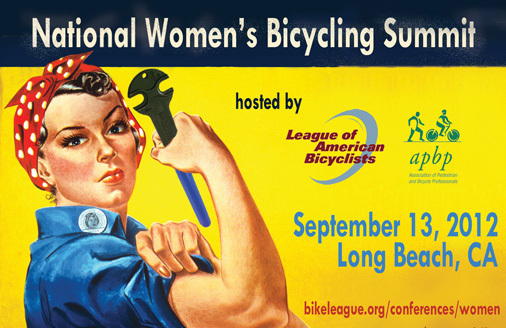 This shout-out for the National Women’s Bicycling Summit in Long Beach, California–co-hosted by the League of American Bicyclists and the Association of Pedestrian and Bicycle Professionals in partnership with Women on Bikes SoCal and the Pro Walk Pro Bike: Pro Place conference–is a belated report. The Summit came at the end of a full week of bike conferences I attended: the Alliance for Biking and Walking Leadership Retreat and Pro Walk/Bike/Place. That week in turn came hard on the heels of a weeklong trip to take the lovely and talented Second Daughter to college (the trip in which I rain-tested the awesome Outlier Tailored women’s daily riding pants). And ever since I got back I’ve been racing at full speed to keep spinning up on my still-pretty-new job as executive director at the Bicycle Alliance of Washington. Never any coasting in my life! But the Summit deserves the attention and you need to attend it next year. I assume that an event this energizing and this well-attended is worth a repeat. Bottom line: When I compared it to Seneca Falls and the women’s movement, I wasn’t far off. The effects of being around that many women who ride bikes, care about bikes, sell bikes, fix bikes, promote bikes, love bikes were simply amazing. The opening keynote talk was given by Leah Missbach Day, a cofounder of World Bicycle Relief, an effort I hope to get lots of women bike bloggers to support. Their work isn’t easy, and the outcomes aren’t always the pretty, tied-with-a-bow happy endings we’d like from where we sit in our developed-world, but it is incredibly important. Choosing from this many great breakout sessions was tough, as there wasn’t anything I wouldn’t have found interesting. In the first round I chose “Beyond Spandex, Toward Social Justice: Women Redefining the Movement,” which highlighted the funny and inspirational work of the Ovarian Psycos in Los Angeles, among others. The second session I chose was “Media and Marketing: Who’s Selling Cycling to Women?” moderated by Susi Wunsch of Velojoy with panelists Maria Boustead of Po Campo; Elly Blue of Taking the Lane; Yolanda Davis-Overstreet, who’s producing RIDE: In Living Color (and who still needs help financing the film); and Mia Kohout, one of the publishers of Momentum Magazine. This panel opened up so many topics that the blog posts are still proliferating. I’ll do a blogspedition just on these, I promise! The ONE post you have to read if you read no other is Elly’s own, which introduces the “bike test” she talked about at the Summit. Meanwhile, here’s a link to the Chicks on Bikes Radio interview by April Lemly that covers several events, including an interview with me about the Summit. It was great fun to talk about it and relive the magic, so thanks for the opportunity, April! Okay, so you missed the Summit and you want to get energized. What can you do? 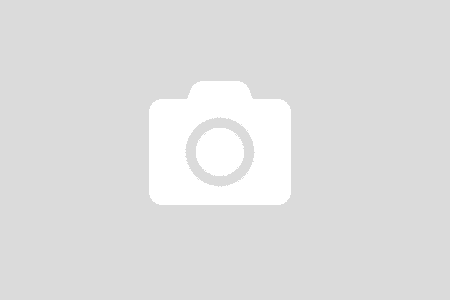 1) Join–or start!–a women’s bike group in your area. Helping each other get rolling means more riders on the streets, which improves traffic safety for everyone, and providing social support builds confidence in someone who might not go out and ride all by herself. For one example, look at what happened when Betsy Lawrence and I started Belles and Baskets in Spokane. 2) Sign up for the League of American Bicyclists Women Bike updates. 3) While you’re at it, join your state bike advocacy organization (yes, a shameless plug for the Bicycle Alliance of Washington–but also for the parallel organization wherever you live). Why? Because the laws, infrastructure, programs, businesses, products, and funding needed to create a bike-friendlier world that invites and empowers more women–more people–to ride will come only as the result of hard work by bike advocates everywhere. Statewide organizations are your voice in your statehouse. Think of it as an uphill climb and start pedaling harder. We need to spin up, ladies. Will you attend next year’s summit? What do you pledge to do that will help get more women on bikes more often? One note in my official capacity at the Bicycle Alliance of Washington: We created http://www.ibikesea.com as a pilot program to encourage new riders–in particular women–who live and work in areas of Seattle linked by the bike infrastructure along Dexter Way to see how this neighborhood-based micro-outreach might work as a model. We’re crunching numbers now and will report results in a while. Watch our blog at http://www.bicyclealliance.org. I pledge to be positive and encouraging towards all people that want to ride bikes, but especially women and transgender folks. I will go a step further and promote and volunteer at safer bike spaces, like Grease Rag!